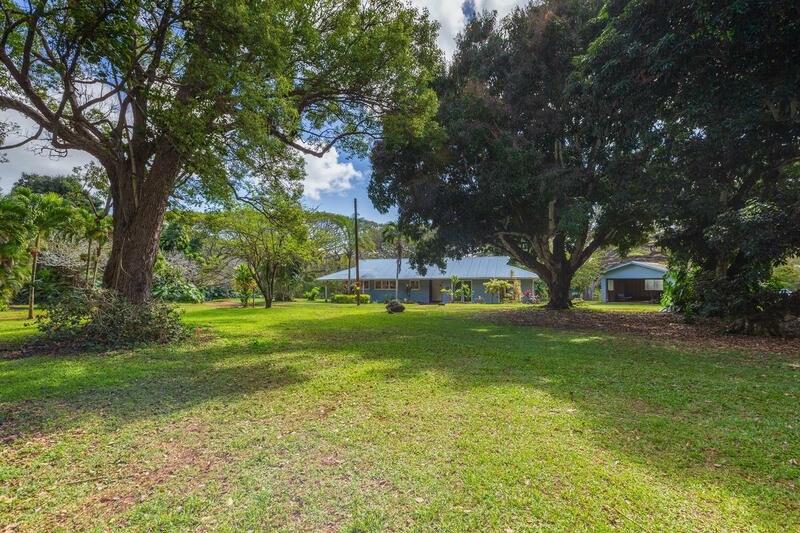 Harmony Farms in Keapana Valley is a classic ranch home on 3-acres with a free-standing garage, horse shed and guest house rights. 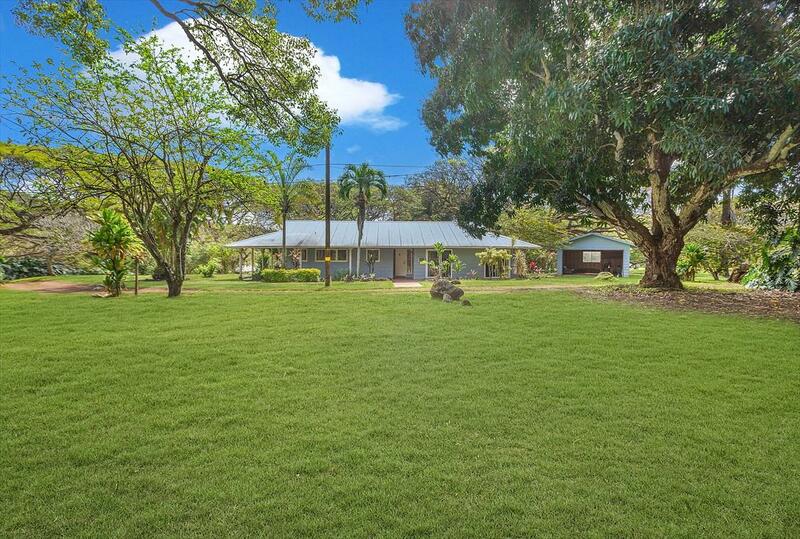 The property, located on Hauaala Road, consists of pasture land roadside and a single-level classic residence sitting on a knoll above the pasture. 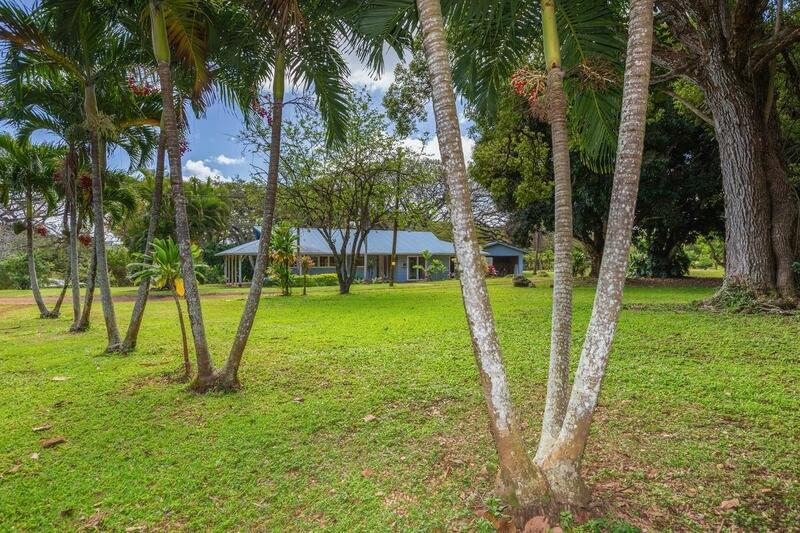 The country setting with mango and monkey pod trees is reminiscent of old Hawaii. The home is very charming with lots of Sunset magazine details, including antique English stained glass windows along with hand-painted sinks and tiles in the bathroom. The garage is large and the horse shed sturdy. With the pasture land below, Harmony Farms may set up well as a horse property. 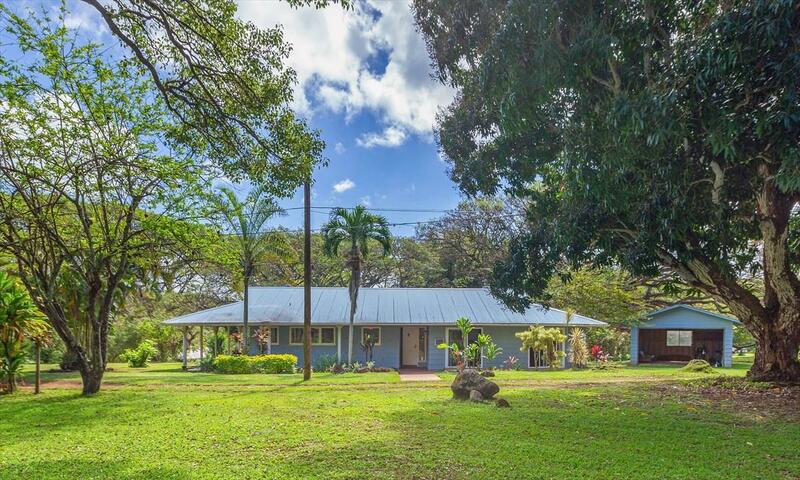 Guest House rights are a big plus.Located in a rural area, you are only minutes from Kealia Beach and Kapa'a Town. Lots of natural splendor abounds at this country yet convenient setting.